It comes a year after AC3, a game that disappointed me to no end. We were promised huge battles, a gripping story and a wealth of historical figures. Only the latter was present in the game, and even that was done fairly poorly. Thus in the run up to Black Flag, I was sceptical: sceptical of whether the pirates’ life would actually be entertaining, whether there would be enough content to justify the vast ocean the game is set on. Thankfully, my fears were unfounded: Black Flag is not only the best pirate game ever, it’s also one of the best Assassin’s Creed games. Ubisoft have clearly learned from their previous mistakes, and that’s evident from the very beginning. 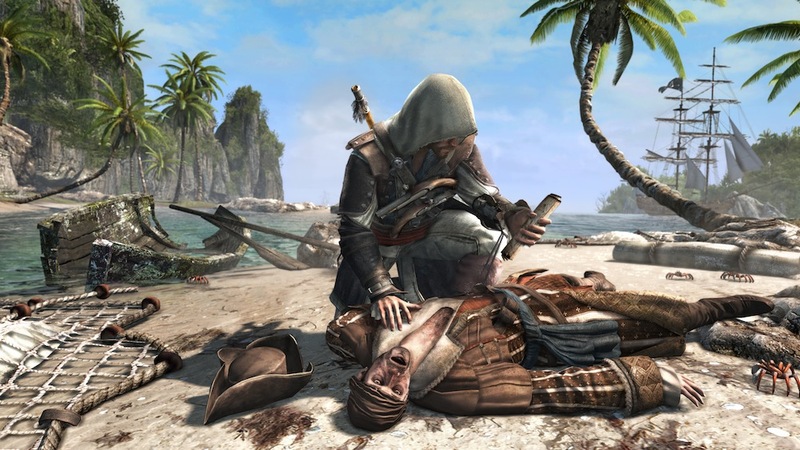 Edward Kenway is a likeable and humorous figure; one that exudes charm and wit. He’s the antithesis of AC3’s Connor, in that you actually want him to succeed. Unlike previous protagonists, Edward stumbles into the Assassin/Templar conflict completely on accident, meaning that for the first two thirds of the story he has little motivation to help either side, except for the promise of money. Whilst this does mean the game lacks a little drive in the story, it also accurately reflects Edward’s aims, making the transition to a true assassin in the third act much more satisfying. 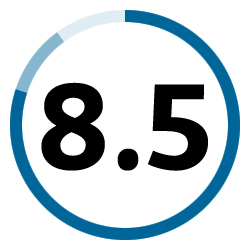 It’s a story of great character development and maturity, and it’s handled exceptionally well. By no means is it as gripping or enthralling as AC2, but it’s not far off. Along the way, you’ll meet pirates of lore: Anne Bonny, Calico Jack and, of course, Blackbeard, to name but a few. Whilst they can, at times, be very one-dimensional, it’s entertaining to interact with them and they provide the necessary atmosphere to make a pirate game shine. Because, at the end of the day, that’s what Black Flag is. Don’t get me wrong: it’s perfectly capable as a standard AC game, with free-running mechanics implemented remarkably well thanks to some wonderfully designed and completely organic pathways. The cities you’ll visit are also full of life, although they do lack some of the verticality of Brotherhood’s Rome and Revelation’s Constantinople. But the game becomes a different beast entirely when you get into the Jackdaw. The historical plot is complemented by a modern day storyline that ditches Desmond for the first time. You’re an employee at Abstergo Entertainment, the games studio that develop the Assassin’s Creed games within the AC universe. It’s very meta, and quite amusing. There’s a fair amount of self-referential humour from Ubisoft Montreal, and although the context isn’t perfect for telling the story (the First Civilization stuff feels shoehorned in), it suffices. The main enjoyment on the modern side comes from hacking into your colleagues’ computers, allowing you to read their emails and files. The hacking mini games themselves are fairly monotonous, but the secrets they reveal are wonderful: there are some hints as to where the franchise is going next, its place within the larger Ubisoft universe and more. These small details bring the modern world to life, and it’s very welcome. The naval gameplay is completely new, and absolutely awesome. 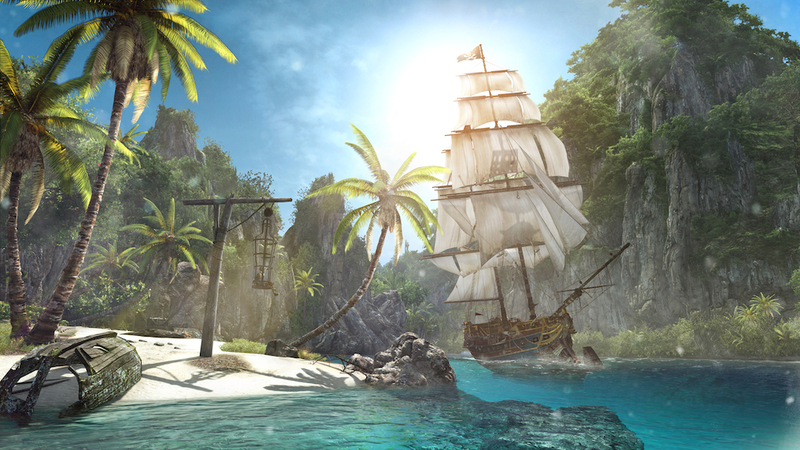 I could sail around the Caribbean for days, occasionally disembarking to explore a new island or loot a smuggler’s den. Ubisoft have populated the massive open world with a huge amount of content: you will never sail more than one minute without something new to grab your attention. There really is something for everyone: if you get a thrill out of hunting a whale, you can do that. If you’d prefer to dive down to a reef and search for treasure, you can also do that. And if, like me, you enjoy big, violent fights, you can certainly do that. Naval combat is a twofold process in the game. Firstly, and most obviously, you can attack other ships: anything ranging from a small gunship to a gigantic man o’ war. These battles are exhilarating, requiring a mix of skilful navigation, devastating cannon blasts and damaging swivel shots. Fortunately, the controls are absolutely perfect. Evading the enemy is relatively simple, and firing your cannons simply involves looking at them and pressing the right trigger. The process remains easy even when the mortar is introduced later in the game: there is a continuous process of upgrading and progression to beef up your ship, until you ultimately have a beast capable of terrorising the oceans. After you’ve successfully worn a ship down during one of the cinematic battles, you can board it to seize its loot and crew. This is a combat-heavy process that primarily involved air assassinations and copious sword combat, which has been improved in Black Flag. It’s still not as seamless as the Arkham games, and the counters aren’t quite as exciting, but it’s certainly manageable. Sometimes there will be extra objectives to complete before you capture a ship, such as destroying their flag, which adds an extra gameplay dimension to the encounter. This process is hugely satisfying, and incredibly fun. So much so, in fact, that I spent almost two or three hours sailing around and seizing ships in one session, grinning each and every time I landed a killer blow. Occasionally you’ll see ships on the horizon that you are too strong for you: thankfully the game warns you. These invariably have more loot and bigger rewards, incentivising you to upgrade the Jackdaw. The only method to do so is by having loot from smaller ships, so there’s a constant, addictive drive to capture small ships so you can upgrade so that you can capture bigger ships so that you can upgrade…the process goes on indefinitely, and that’s perfectly fine with me. It does, of course, help that you’re accompanied by lovely sea shanties (which are themselves part of a glorious and atmospheric soundtrack that is almost as good as Hans Zimmer’s Pirates of the Caribbean themes). The naval combat can also involve capturing an enemy fort: a similar process to destroying a ship, but requiring more patience and skill. It’s still an enjoyable task (indeed, watching a huge stone tower collapse is more satisfying than watching a ship burn), but it can drag on a bit, especially with the harder forts. However, the benefits from such a capture are huge: it makes the waters safer, enabling more plunder in the long term, so it’s worth pushing through them. When you’re not exploring the open world, you’ll be focussing on the missions. These, unfortunately, aren’t great. Whilst stealth has certainly been improved on since previous games thanks to some ingenious level design, the traditional “stay behind and eavesdrop on this man” or “tail this man for five minutes” missions are all present, and they’re just not fun. The fact that you fail as soon as you’re detected makes matters worse. The rest of the missions mainly involve lots of combat or stealthy infiltrations, although there are a couple of cinematic escape missions that are fun. One standout level involves sailing your boat through very shallow and narrow rivers without being detected: stealthy naval gameplay is surprisingly fun! Black Flag also stands out from a technical perspective. 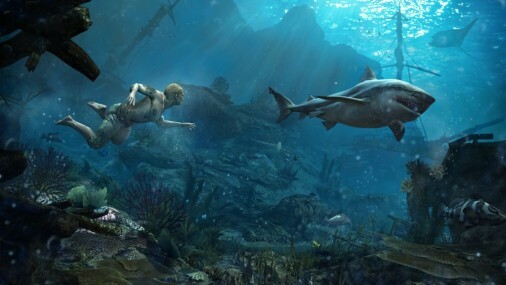 The game looks gorgeous even on current gen, with shimmering water effects and rich, vibrant colours unlike anything the series has seen before. I recently visited the Caribbean, and at times the game was indistinguishable from real life: quite the achievement. The lack of loading screens is also commendable. Although you’ll get the odd one when you enter a city or start a mission, sailing is a completely seamless experience: you won’t experience a single loading screen whilst you’re on the water. This makes travelling even more attractive as a way to spend your time: that is, if you’re not doing enough with all the extra content Ubisoft have added. That’s because, as ever, there’s a huge amount of content on top of the already-long campaign. And we’re talking more than just the hundreds of collectible chests. There are tons of assassination and naval contracts, along with the Templar Hunt side mission that is effectively a mini-campaign. Oh, and that’s not to mention all the animals you can hunt (and should, as there’s loads of gear you’ll want to craft), the Mayan ruins to explore and…the list is endless. Top of the pile is Kenway’s Fleet, a strategy game found within the game. You send out ships to complete missions and conquer new trade routes, earning money in the meantime. Although it’s the not the most gripping addition to the game, it’s a fun way to earn some extra cash, and is surprisingly in depth. The key point is this: this game is full of content, and it’s all quite fun! You will never be able to say “I’ve run out of stuff to do”, because that’s impossible, frankly. 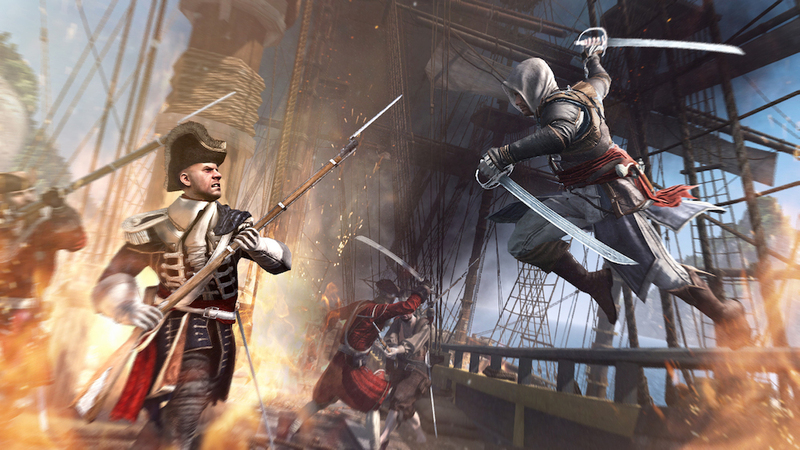 Assassin’s Creed 4: Black Flag is, then, a redemption for the franchise. It’s everything you could want in a game: a good story and exciting and new gameplay with tons to do and loads of fun to be had in doing it. It’s a masterpiece of a game: no particular aspect blows me away, but the sum of the parts is something very special. If you don’t play this game, you’re absolutely mad. 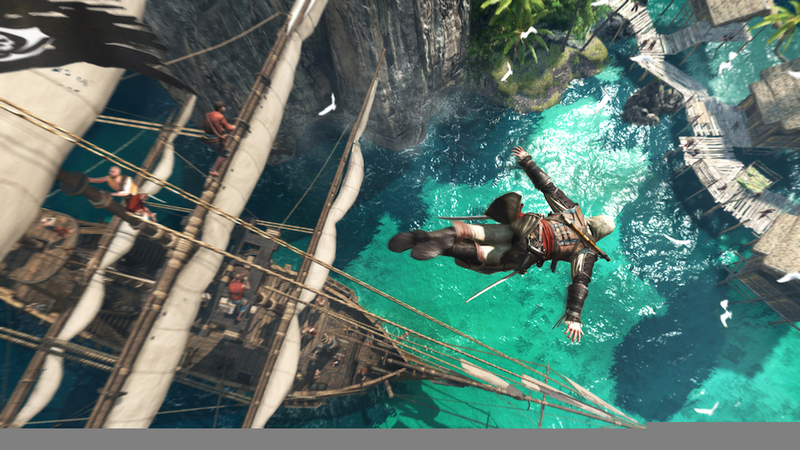 Assassin’s Creed 4: Black Flag is out now on Xbox 360, PS3 (reviewed), PC, Wii U, Xbox One and PS4.